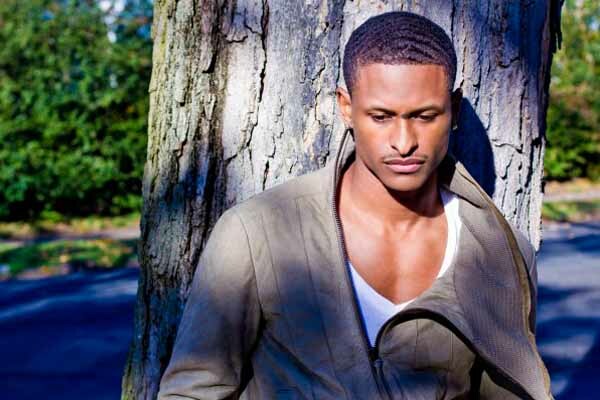 J Rome (Singer/Songwriter/Entertainer) has conquered many mediums after winning ABC’s DUETS. On Tuesday September 2013, J Rome is set to release his debut single ”Whateva U Like” to his fans and to the world. Eagerly and humbly, J Rome delivers an outstanding vocal performance in “Whateva U Like”, which is destined to cross multiple platforms. Also in September J Rome single “Melt The Dance Floor” the original Promo record for ABC’s “Dancing With The Stars” All-Star Season will be featured on the new season of VH1’s Basketball Wives. J Rome also lends his talent along with phenomenal producer Lil Wonda, R&B Legend Meli’sa Morgan, Broadway’s Color Purple & Porgy & Bess Tony winner NaTasha Yvette Williams, TV One’s R&B Diva Monifah, and International Gospel House vocalist Kenny Bobien on the recording of “Rebuild Again” which was release October 2013 through an HBO Documentary called “The Heart of the Shore” to benefit the victims of Hurricane Sandy. With now millions watching his YouTube videos, a fan base growing in 14 countries, and being the most requested principle lead in the U.K. production of “Thriller Live”; a world tour tribute to the late great Michael Jackson (including places such as U.K., Singapore, and Abu Dhabi), J Rome is this generation’s next emerging talent. J Rome is gearing up for multiple TV/radio appearances, performances and talk show interviews to promote “Whateva U Like”. Today, R&B stands for “Ratchet & Bottles” instead of its original meaning of “Rhythm & Blues.” With most singers using only the club and the bedroom as the setting for their music, there is a surge of artists putting their souls back into music. From Laurel, Maryland, Jerome Wayne, has decided to share his family heritage of musical talent and put emotion back into the genre as J Rome, the newest sensation has a growing fanbase since winning ABC’s singing competition, Duets, having his song, “Melt The Dance Floor” featured on the soundtrack of VH1’s Basketball Wives and a starring role in the U.K. production of Thriller: Live, a tribute to Michael Jackson. J Rome covers topics such as his goals, songwriting capabilities, and his ability to connect with fans, idols, and family through his music. Amps- Could you tell our readers your birth name? J Rome- My birth name is Jerome Wayne. Amps- Where are you from? J Rome- Laurel, Maryland, I grew up there. We traveled a lot within the Maryland area but me, my mom, and my sisters, we kind of found our roots in Laurel. Amps- How old were you when you started singing? J Rome- My Mom says that I was four year old. My Dad said that I was doing the riffs and runs like the older people. Amps- Does singing run in your family? J Rome- Oh yeah, everybody in my family sings: From my Mom to my Dad; my nieces my nephews and my sisters. Amps- Do you write your own music? J Rome- I write most of my material, but lately I’ve been reaching out because I want to explore what it felt like to work with other writers and producers. I’ve been working with this group of writers from Philadelphia, called the Catalogs, and they have been writing some really amazing hits for me and with me. Actually, the single that I have coming out called, “Whateva U Like” was written by the Catalogs. Amps- So when you do write your own music, where do you get your inspiration from? J Rome- Anything that inspires me; could be a family member, it could be something dealing with love or hurt. I get inspired by any and everything; you just never know what someone’s going through. Amps- What are your goals and dreams in life? J Rome- Well, my ultimate goal is to create a catalog and collection of music that people will love and remember forever. I just want to make good music and inspire people. I want the people to go on and do what they are inspired to do. You have a dream for a reason. I feel like a lot of people get content with their life because it gets too hard, but if it was meant for everybody to do what you wanted to do then everybody would do it. So I just aspire to inspire people to go after their dreams, no matter how hard it is or how long it takes. Amps- Do you play an instrument? J Rome- I don’t but I’m learning. I’m teaching myself to play the piano and guitar (laughing) and I’m getting pretty decent at it. On one of my songs on the album, I will be performing with a guitar pretty soon, so I’m working on it. Amps- Speaking of performance, do you get nervous before performing? J Rome- I actually do get nervous, I get nervous all the time. Normally people don’t believe me when I say that I get nervous; I’m talking about palms sweaty, chills, I can barley talk and I don’t want anyone talking to me because I’m trying to focus, but once I get on stage and I start singing, I would say about five notes into the song, I’m good. I’m ok. I just let go and I realize it’s not about me. I’m performing for people that want to see me perform. Amps- Do your sisters perform with you? J Rome- My older sister sang background for me once or twice in my early years of performing but she has her own life. She’s a single mom and she’s in school full time, so I wouldn’t expect her to drop what she’s doing because she has all those responsibilities. Amps- Who is your favorite singer? J Rome- Whitney Houston is because she always sang from her heart. My other two favorite singers are Michael Jackson and Stevie Wonder. These are my amazing icons that motivate me and my career. Amps- Have you ever met anyone of them? J Rome- I met Stevie Wonder and I got a chance to sing for him twice. He actually offered to have me come on stage during one of his performances but I wasn’t going to be in town at that time, because I had to get back to school. Amps- What is something that you would want your fans to know about you? J Rome- That I’m a good person, I mean well and that I’m human, no matter what I will always give from my heart. I’m hoping when I get to a certain level and people start knocking me down and the haters start coming, I hope that my fans stay true and realize that I am human no different from them at the end of the day. Amps- How can your fans follow you and keep up with what you are doing?